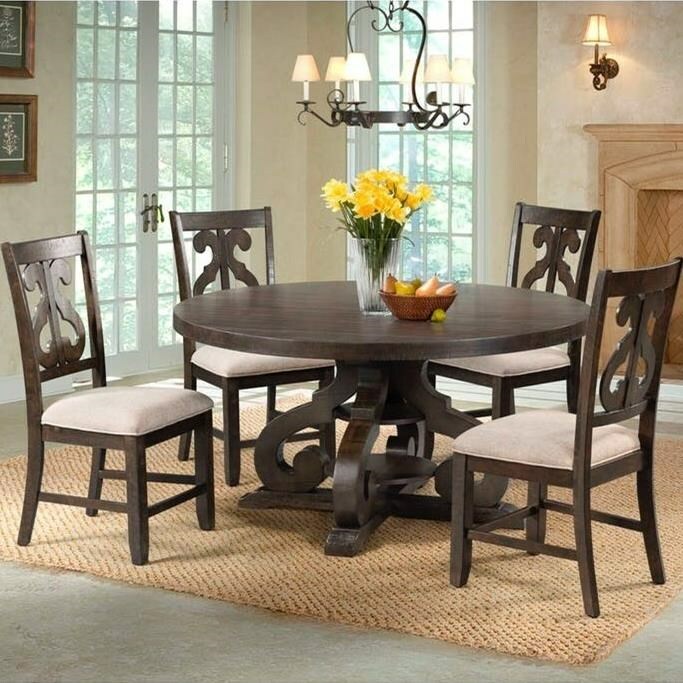 This round dining table set will be an excellent centerpiece in your dining room or breakfast nook. The table is supported by an elegantly designed pedestal accented with reverse scroll details. The four dining side chairs have scroll designs backrest and linen-colored upholstered seat. The Stone Round Pedestal Table and Chair Set by Elements International at Zak's Home in the Tri-Cities, Johnson City, Tennessee area. Product availability may vary. Contact us for the most current availability on this product.